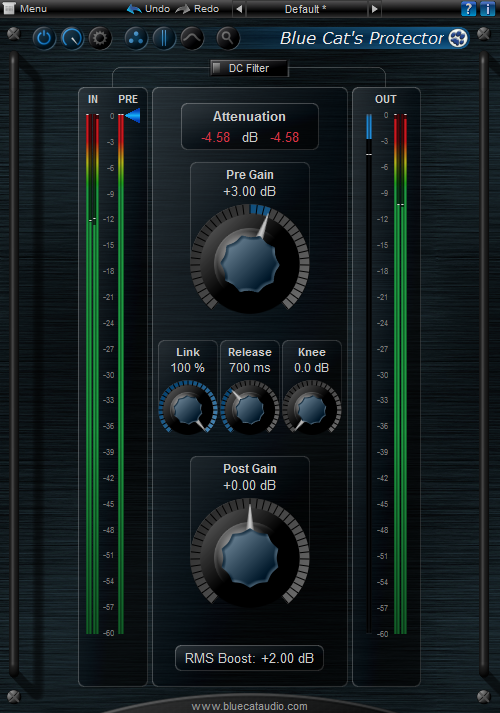 Blue Cat's Protector is a stereo brickwall limiter plug-in. This plug-in offers very few controls and yet provides a large palette of sounds: from very transparent limiting to hard digital clipping or soft analogue saturation, it can be used as a master limiter, loudness maximizer or distortion unit. Large zoomable peak and RMS audio levels and gain reduction meters for optimal monitoring.